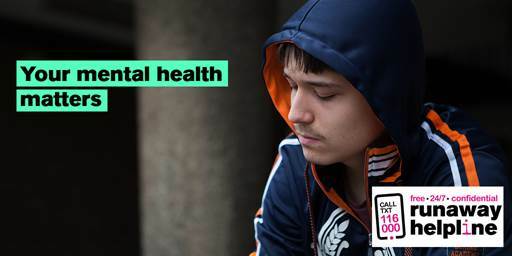 It is reported that Mental Health affects 1 in 10 Children and Young People, however we know that not all cases of mental health in young people are disclosed or spoken about. This is why we want to promote and celebrate the awareness of World Mental Health Day 2017. As a young person you can suffer from various different mental health challenges, including Depression, Body dysmorphia disorder and Anxiety. However, it is important to know that you are never alone and that there are people who can help. Here at Runaway Helpline, you can come and speak to one of our dedicated chat staff in a safe, anonymous and confidential environment via 1-2-1 chat. There are also some specialist youth mental health organisations such Kooth and The Mix who also operate 1-2-1 chat. Do you have a true story to share about World Mental Health day 2017? The Mix is a leading support service for young people.